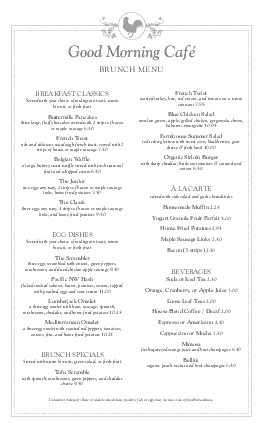 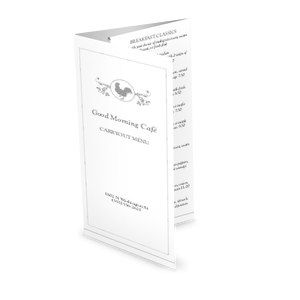 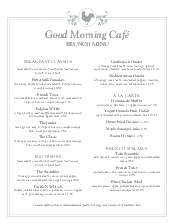 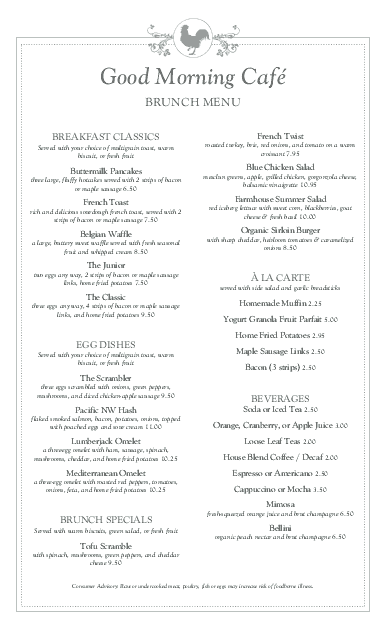 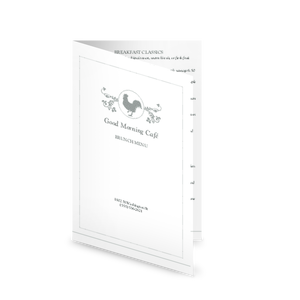 A clean two column design give this legal sized buffet breakfast menu long a casual feel for any type of restaurant. 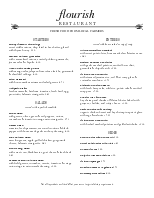 The restaurant name is shown in a green script style, with an accent of a rooster or chicken on top. 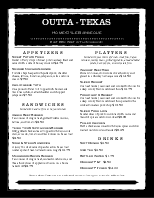 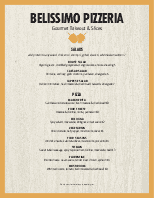 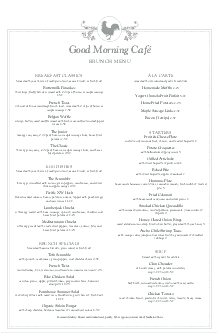 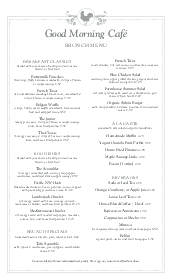 This legal sized menu can be updated online using the Menu Editor, our menu software.